The Nature2 Fusion inground system is the ultimate chlorine and mineral sanitizing system for in-ground pools. Its revolutionary combination of Nature2 mineral technology and an automatic chlorine feeder allows you to spend more time enjoying your pool and less time maintaining it. 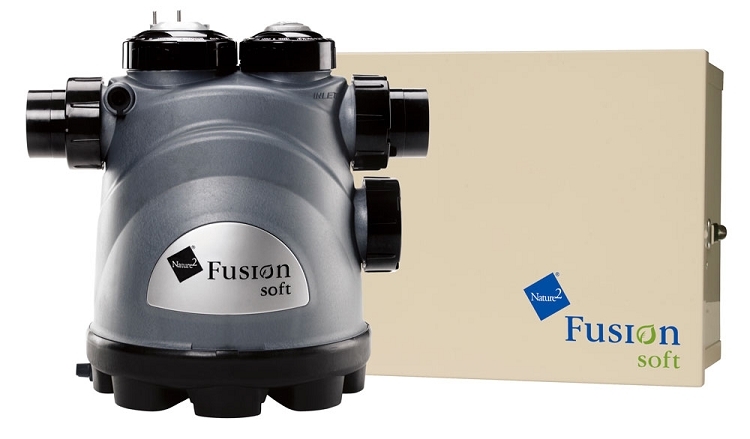 The Nature2 Fusion soft system is all-in-one salt water sanitizer and mineral system for in-ground pools. Its revolutionary combination of Nature2 mineral technology and a salt water sanitizer allows you to spend more time enjoying your salt water pool and less time maintaining it. The Nature2 Fusion soft system brings you the benefits of Nature2 minerals with the convenience and benefits of an automatic salt water sanitizer. In just a few easy steps you can achieve a salt water oasis.